Janine Jackson: Advocates and activists are calling on FCC chair Ajit Pai to appoint an independent commission to examine the causes for communications failures in Puerto Rico following Hurricane Maria, just over a year ago. Over 95 percent of cell sites were knocked out of service, hindering rescue and recovery efforts. Days after the storm, no TV and only a handful of radio stations could function. And the restoration has been painfully slow. 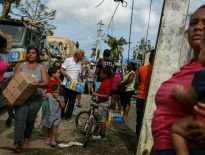 The coalition of groups also urged the agency to convene public hearings in Puerto Rico, so that commissioners could “hear directly from Puerto Ricans on how their lives were impacted” by the lack of a resilient communications infrastructure. But the conversation around communications in Puerto Rico is not primarily one of petitioning the powerful. 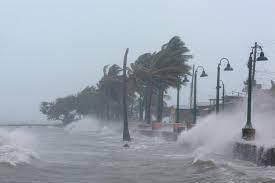 If anything, the hurricane and the inadequate federal response have made clearer the need for other kinds of work, in other places, that can give people more power over their communications rights, as part of the fight for all of their rights. Our next guest is part of that work. Teresa Basilio Gaztambide is director of Resilient Just Technologies, as well as an artist and organizer. She’s just back from Vieques, and joins us now by phone from Brooklyn. Welcome to CounterSpin, Teresa Basilio. JJ: When we talk about communications failures in Puerto Rico after Maria, we’re talking, of course, about people who couldn’t check on their family and friends because phones weren’t working, failures that may have increased the storm’s death toll of at least 3,000, new research says as many as 5,000, human beings. The work you’re doing seems to grow out of recognition of the fullest meaning of communications: technology and storytelling, and how they meet. So what were you doing in Vieques, and what does or doesn’t it have to do with events of the past year? TB: First off, I’m from Puerto Rico originally. I was born there, but I was raised, like many of my folks, we were raised in the States. But I have continued to have a very deep connection with Puerto Rico, and so in the past few years, my emphasis has moved to trying to figure out really tangible ways to support the process of decolonization for Puerto Rico. Because I have been working in media for a long time–prior to this work, I worked at Global Action Project, which is a youth media social justice organization–so I work with young people in creating collaborative films that tell the story of what their issues are and how to resolve them. And so I come from a background of storytelling myself, and seeing the importance of storytelling, not just to get our stories out there, but also as a way to build community. So I moved into this work of technology, and I started Resilient Just Technologies, as a way to garner all of the things that I’ve learned, and the people that I’ve been fortunate to work with, to see if I could leverage all the different things that for me communications encompasses, which includes not just the communications, but media, political education, decentralized technology, storytelling, a whole host of things that are interconnected with the idea of communications. I was looking to leverage all of these different ideas for organizers on the front lines of racial, economic and climate justice movements, and so I’ve been working here in New York with New York City communities who are building local networks, wireless networks, for use in emergencies and for community organizing. And so I really wanted to figure out how to use that knowledge and relationships and understandings to support my folks in Puerto Rico and the diaspora. I was in Vieques–I just got back a few days ago–I was in Vieques and Comerío, two areas that, for a variety of reasons, have a long history, both of struggle, as well as of just really innovative ways of organizing communities. So I was there to talk to communities who were directly impacted by the loss of the communications infrastructure, following both hurricanes Irma and Maria. As we saw, or as we know, the communications system completely failed. The purpose of these conversations–which are story circles, which is a cultural organizing tool that comes from the South here in the US–the idea is to really, in community, have a conversation about what happened to us: What was the impact of that? And then also talk about, what does a just communication system look like for our people? So really a visioning as well, and affirming the ways in which we’ve been able to organize already, and protect ourselves and our communities. And what came out of these conversations was a whole lot of stuff. I mean, there was the clear evidence of trauma, not just not being able to reach your relatives, but not being able to reach medical care, not even knowing what’s happening day-to-day, if there was access to clean water, if food was coming. There’s just so many things that people were just cut off from completely, their basic human right to communication. The stories are really important, to tell what really has been the impact, but also as a healing justice part of the work. I think that some of the times, we have these conversations, but we don’t talk about the impact of trauma on our communities, and how we need spaces together in community to really deal with it and address it and move together to continue supporting each other through it. So I was in both Vieques and Comerío to facilitate those story circles with my friends at Free Press, and with Melissa Rosario, who runs a healing justice and decolonization project in Puerto Rico called CEPA. JJ: You’re talking about the importance of these conversations, and then there is the matter of creating and maintaining the space in which to have those conversations, and there’s where the technology can come in. So I wanted to ask you about these Portable Network Kits that you also work with. TB: Right. So part of the project—and my understanding of both community technology, as well as a just transition for Puerto Rico, means that our communities also need to have access to the infrastructure. I think it’s one thing to say, “We’re going to push the FCC and the telecoms to do the right thing.” It’s a whole other project to validate people’s self-determination by the ownership and governance of their infrastructure. And so in a colonial situation, these things get very, very difficult. So the conversation that I’ve been having with people there is, “What technology is available that can support a lot of these kinds of efforts, these self-determination efforts, that are happening throughout the island?” Most notably through the CAMs—the mutual aid centers that popped up, I there’s maybe 11 or 12 of them, that popped up immediately after the storms, to do everything from feeding people to health services, acupuncture—I mean, you name it. They’ve been doing that work, and they continue to do that work, one year past the hurricane. So in my conversation with some of these folks, it seems like they were looking for technology that could be maintained and governed by communities, and have local usage. And what I mean by that is, that if internet fails, this technology—the Portable Network—can be started here in New York City through the Resilient Networks NYCproject, which is the project I was mentioning before, where we have five communities that are building their own local networks. So we produced these Portable Network Kits. And they were initially just going to be used as a repair kit for our networks that are here. But we realized that they had a use in emergency situations because they’re portable, because they have some additional security measures, they’re affordable (a small one could be as little as $300), and they have different kinds of resiliency features, including, you can power them through solar panels and battery packs. So there’s just a variety of ways in which they’re really, really useful. So we did the training with one of the camps in Santurce three weeks ago, called El Hormiguero. They’re doing amazing work in Santurce, again, a variety of things, from feeding people to self-defense classes to resiliency planning. So they invited us there, myself and some colleagues, community technologist colleagues from The Point, which is one of the community organizations that’s building the network in the Hunts Point section of the Bronx. They came with their digital stewards. “Digital stewards” is the name that we use for community residents who are trained in building, maintaining and running the networks, ensuring, again, local governance and control. And so we built a small, local network there in Santurce, and that network is up and running. And what I was mentioning before, the thing that’s significant about it, is that it can work with the internet, so it can help share the internet with the different sites, but it also can function as a local network without the internet, with something called island mode. So people can continue to communicate with each other in a local space, and send files to each other, videos, photos–just communicate, basically–when everything goes down. And so this is a really important tool that folks in Puerto Rico are interested in using. We’ve been working with folks there who are excited about that work. And also trying to support the ongoing work of the mutual aid centers throughout the island. JJ: The power, of course, of these very local and direct, people-to-people communications goes well beyond the fact that they can continue to function even in times of environmental catastrophe. It’s also what they get to say. We saw a spate of stories after Maria about what you call this “mutual aid.” We heard about communities working together to clear the roads and to fix houses in the absence of support from the state. But it’s very evocative to think about applying that mutual aid ethic to communications. As a media critic, you always get this sense that you’re supposed to “win the media,” that social justice organizations have to “win the media,” and that’s the way to speak to the people in order to change things. But this is a way of working around—and without—elite media, in order to tell stories that need to be told. TB: Exactly. That focus on decentralized technologies, which is, you know, a movement across the world; this is not a new thing. But it’s a movement to really support self-governance in a place like Puerto Rico, where colonialism is the rule, and a very brutal form of colonialism and neoliberalism that is impacting our people. Even after a hurricane, now they’re trying to put all sorts of awful privatization schemes on top of that. A lot of the relationship to the telecoms has been one very much of, like, client relationships, right? So it’s really trying to shift that narrative away from that to one of, again, self-governance, community control. Again—not things that are new, but really trying to utilize existing technologies that are affordable as a way to support that very basic human right towards self-determination. JJ: I wanted to ask about that in particular. 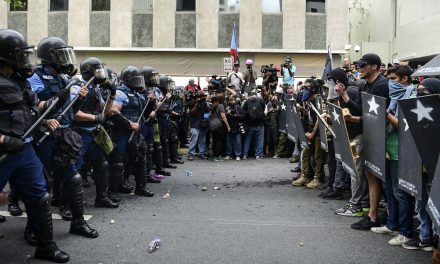 The relationship between the US government and Puerto Rico wasn’t reflected, of course, only in agency foot-dragging. And the curtain was pulled off, the sneer of it, the arrogance of that relationship, with that image of Donald Trump tossing freaking paper towels to people at an aid distribution center. If there were any mystery to it, I think it should be removed. But all of which is just to say that taking control of the narrative, and being able to subvert imagery that’s pervasive, that means particular things for Puerto Ricans. TB: Definitely. Absolutely. Certainly, the narrative of dependency, the narrative that the federal government was putting forward, that somehow we were to blame for the misery that colonialism causes; that our people…they lacked gratitude for the work that was being done, when actually things were not getting there. We weren’t getting food. We weren’t even getting tarps. Most of the tarps that ended up on the island came because people brought them there. The diaspora sentthem there. So there is a huge failure on the local and federal government level. And you’re right, it absolutely did reveal the mask of colonialism, the brutality of it. Unfortunately, it seems that a lot of the media has not learned that lesson, and so continue to promote a narrative of dependency, of paternalism, and doesn’t recognize the amazing work that people are doing to help each other, to support each other. 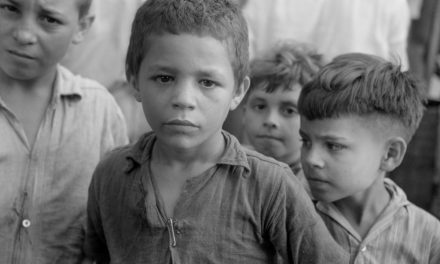 And that’s what I saw when I was in Vieques and in Comerío, you know, communities very impacted also by poverty, ongoing poverty; it unveiled the brutality of the political and economic situation. And so folks have been supporting and doing what they can to help each other out throughout. But I think at this moment, because of the hurricane, there’s an opportunity to shift that narrative. There’s an opportunity to shift resources, to shift understandings of what the relationship is between Puerto Rico and the United States, and Puerto Rico and the rest of the world. So I’m hopeful, and also incredibly inspired by the people that I met, that I spoke with who shared their stories, who are working in their localities to promote these ideas around self-determination, because the process of decolonization is a long process. But it’s one that has to be at the forefront of any conversation, whether it’s communications, food sovereignty, whatever it is, that’s at the root of the issue. JJ: We’ve been speaking with Teresa Basilio Gaztambide, director of Resilient Just Technologies. Thank you so much, Teresa Basilio, for joining us this week on CounterSpin. 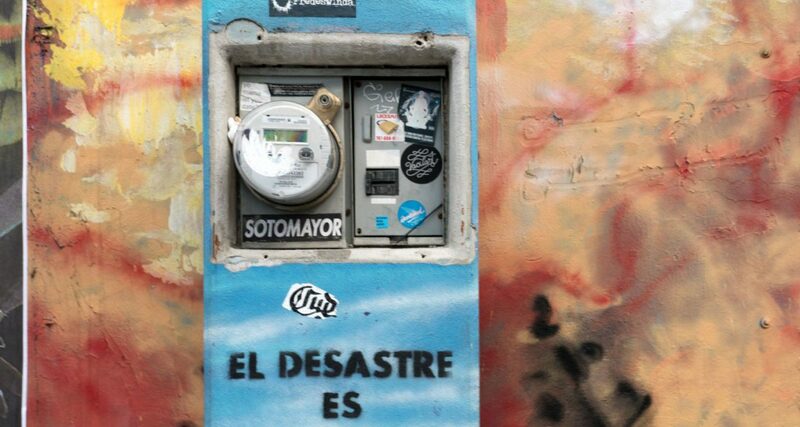 Janine Jackson interviewed Teresa Basilio Gaztambide about communications failures in Puerto Rico for the October 12, 2018, episode of CounterSpin. This is a lightly edited transcript. 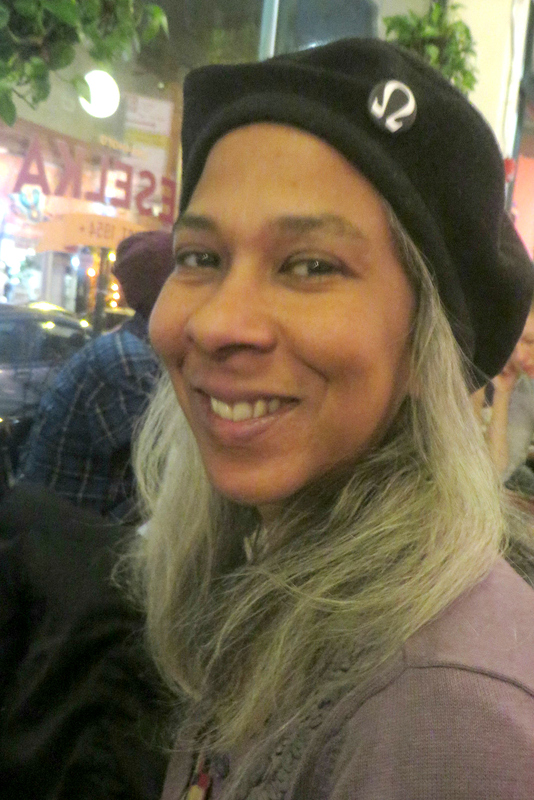 Janine Jackson is FAIR’s program director and producer/host of FAIR’s syndicated weekly radio show CounterSpin. She contributes frequently to FAIR’s newsletter Extra!, and co-edited The FAIR Reader: An Extra! Review of Press and Politics in the ’90s (Westview Press). She has appeared on ABC‘s Nightline and CNN Headline News, among other outlets, and has testified to the Senate Communications Subcommittee on budget reauthorization for the Corporation for Public Broadcasting. Her articles have appeared in various publications, including In These Times and the UAW’s Solidarity, and in books including Civil Rights Since 1787 (New York University Press) and Stop the Next War Now: Effective Responses to Violence and Terrorism (New World Library). Jackson is a graduate of Sarah Lawrence College and has an M.A. in sociology from the New School for Social Research. FAIR is the national progressive media watchdog group, challenging corporate media bias, spin and misinformation. We work to invigorate the First Amendment by advocating for greater diversity in the press and by scrutinizing media practices that marginalize public interest, minority and dissenting viewpoints. We expose neglected news stories and defend working journalists when they are muzzled. As a progressive group, we believe that structural reform is ultimately needed to break up the dominant media conglomerates, establish independent public broadcasting and promote strong non-profit sources of information. We rely on your support to keep running. Please consider donating. © 2019 FAIR. All rights reserved. PreviousUnder Medicare for All, Should Hospitals Be Incentivized by Profit ? 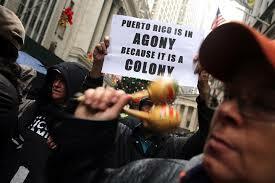 Puerto Ricans are Colonial Subjects.